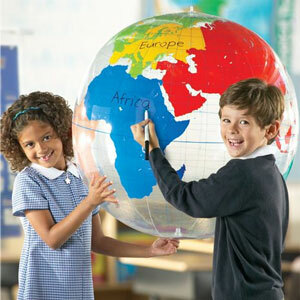 This Giant Inflatable Labelling Globe is a massive inflatable, "write and wipe" globe that is great for enhancing geography lessons. Find and label countries, bodies of water, continents and much more! 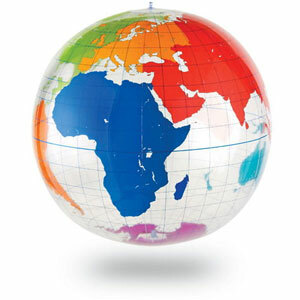 There are no printed words on this globe making it suitable for use in any language and also making it ideal for assessments. Use with any wet-erase marker / felt tip (not included).